Collaborative artists Claudius Schulze and Maciej Markowicz are sailing through Europe in two self-built tiny homes. The 2BOATS (Übermut) will serve as traveling studios for the artists while they sail from Hamburg to Paris. Schulze’s houseboat is a wooden pontoon-style vessel, complete with an outdoor disco ball and hammock. Markowicz’s sleek floating studio pulls double duty as a fully functioning camera obscura, capturing the photographers’ journey in real time. Schulze’s houseboat is a wooden platform with an amazing covered deck and rooftop seating area, big enough to enjoy the stunning scenery as they sail through Europe’s waterways. The floating home and studio were made with reclaimed wood panels and a variety of old windows, which flood the homey interior with plenty of natural light. Markowic’s boat is a more modern vessel, and one that is used for pure photography purposes. Doubling as a camera obscura, the innovative vessel is capturing the photographer’s amazing journey. Once at port, the photographer invites guests on board to experience a real-time projection or see the photographic record of the artists’ journey. Schulze and Markowicz created the floating photography studios to make their way from Hamburg to Amsterdam’s Unseen Photo Fair and Paris Photo event, ending their journey at the Hamburg Triennale of Photography in June. Both artists are posting from their man-made ships. Schulze’s explorations can be found on his Instagram page and Markowicz can be found at ObscuraBus. Collaborative artists Claudius Schulze and Maciej Markowicz are sailing through Europe in two self-built tiny homes. The 2BOATS (Übermut) will serve as traveling studios for the artists while they sail from Hamburg to Paris. Schulze’s houseboat is a wooden pontoon-style vessel, complete with an outdoor disco ball and hammock. Markowicz’s sleek floating studio pulls double duty as a fully functioning camera obscura, capturing the photographers' journey in real time. 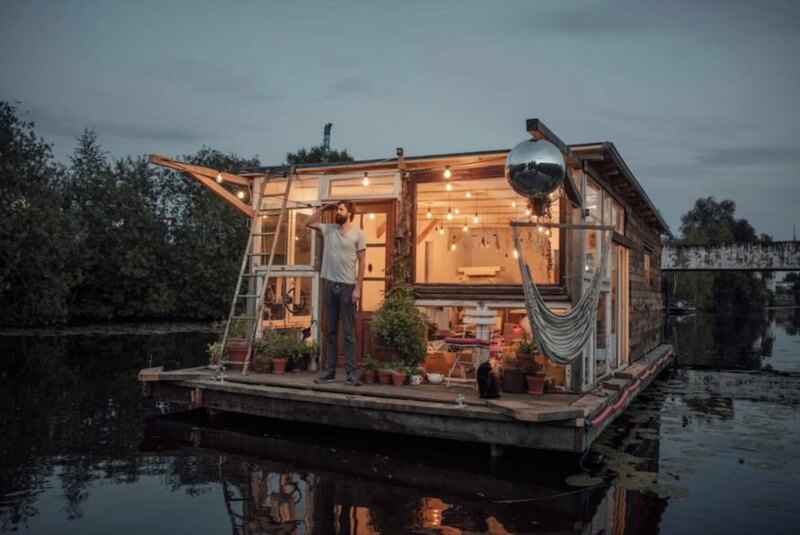 Schulze’s houseboat is a wooden pontoon-style vessel, complete with an outdoor disco ball and hammock, which doubles as a hub for creative workshops and discussions. Maciej Markowicz's boat doubles as a camera obscura. The artists will be visiting several photography events on their journey. The photographers' are both hosting guests on their boats. The traveling duo will make their way to Paris. 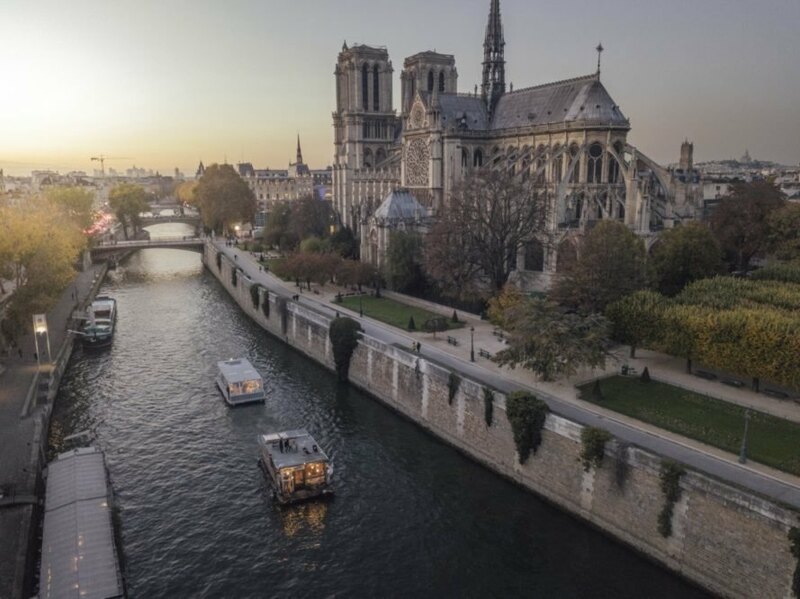 2 Boats sailing through the Seine. Markowicz’s sleek floating studio pulls double duty as a fully functioning camera obscura. Maciej Markowicz's vessel is a floating camera obscura. The building of the floating camera obscura. 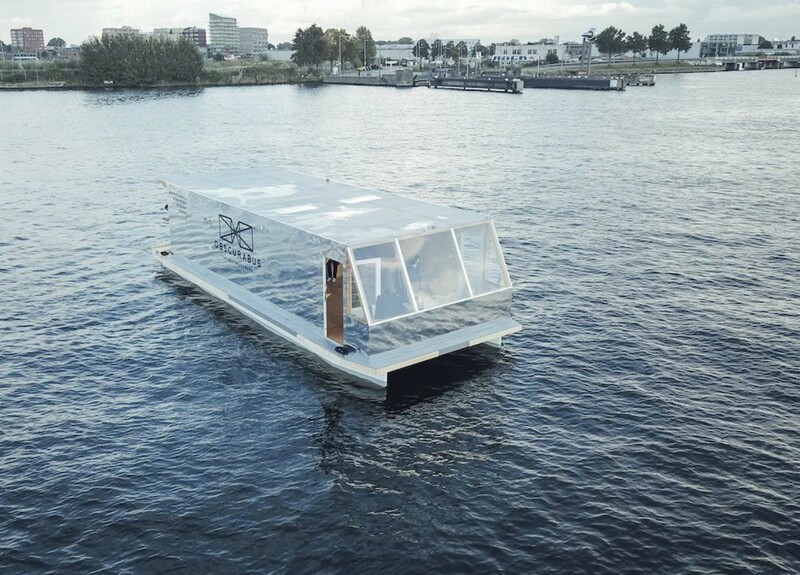 Claudius Schulze takes off on his floating photography studio. Photographers Claudius Schulze and Maciej Markowicz are sailing through Europe on their 2BOATS vessels. The photographers are making their way from Hamburg to Paris. Reception at the launch of Claudius Schulze's boat.